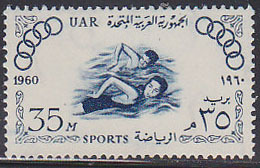 1454 MAQ EGYPT (1965) Race horse "Saadoon"*. 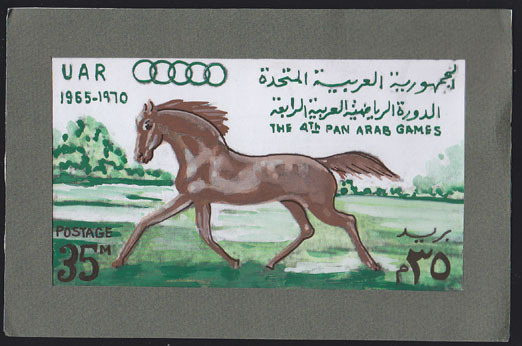 Original artwork for 4th Pan-Arab Games. Watercolor on posterboard measuring 21 x 14 cm. Scott No 677. Unique! 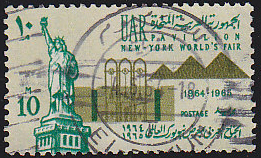 3203 MAQ EGYPTE (1986) Statue d'un pharaoh Egyptienne (Ramses?)*. 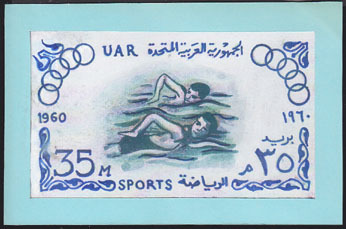 Maquette en couleur signée par l'artiste ADBALLAH. Dessin non émis d'un timbre de 15 piastres. 240x330 mm. Belle pièce d'exhibition! 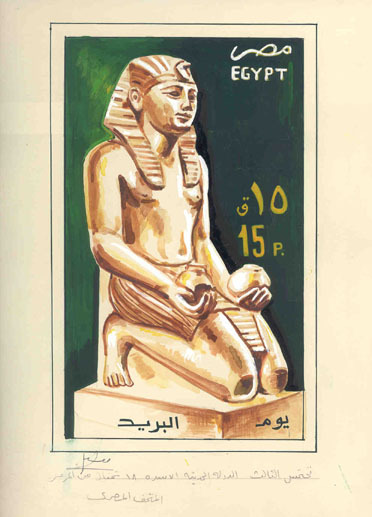 11160 MAQ EGYPT (1997) Scout emblem*. Map of Middle East & North Africa*. Unaccepted artwork in watercolor on cardboard signed by the artist. Overall dimensions 37 x 25 cm, design measures 27 x 16 cm. Unique! 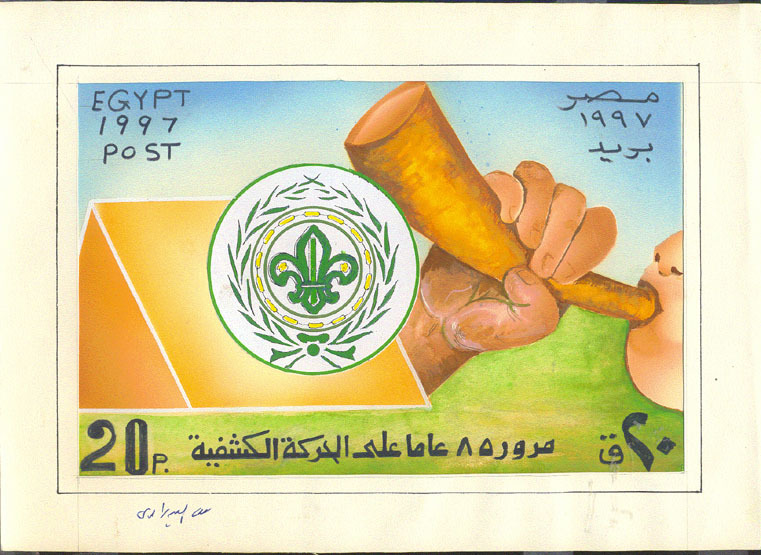 11161 MAQ EGYPT (1997) Scout blowing horn*. Scout emblem*. Tent*. 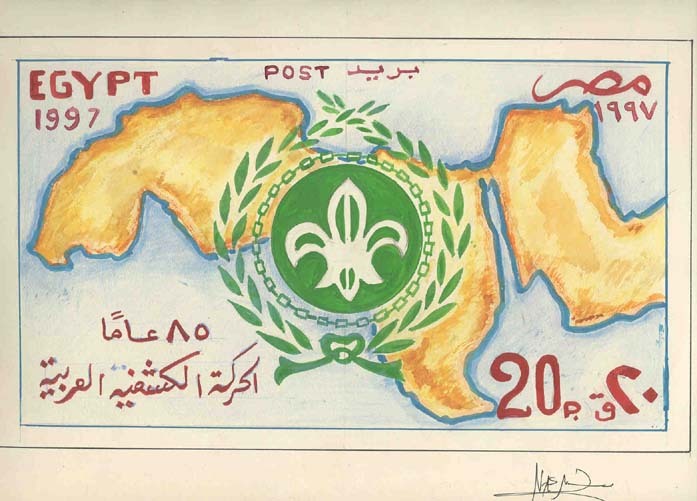 Preliminary artwork for 85th anniversary of Arab Scout movement. 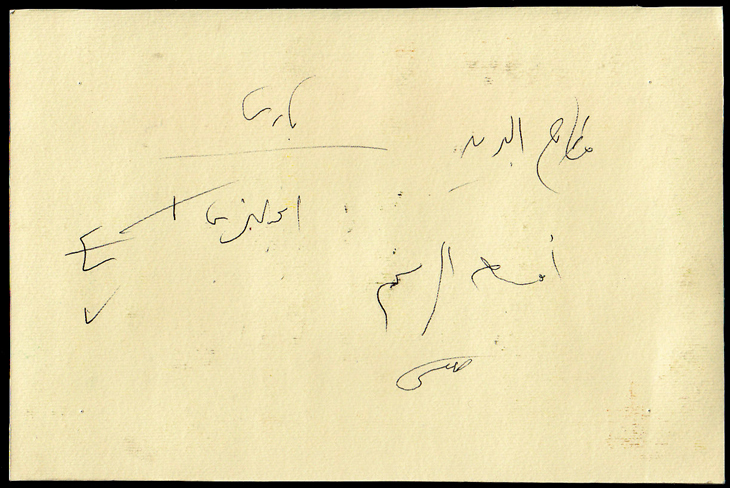 Watercolor on posterboard measuring 25.0 x 16.5 cm, signed by the artist. 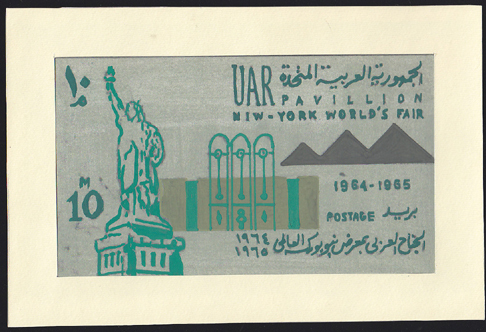 Close resemblance to issued stamp.Scott No C228.